From a young age Bug showed a keen interest in puzzles. As he has gotten older his interest and love of puzzles has grown and he now boasts an impressive collection of puzzles. As puzzles provide so many benefits such as developing fine motor skills, helping hand-eye co-ordination, enhancing memory, learning shape recognition and introducing them to problem solving I am more than a little delighted that Bug loves puzzles. Like most children nowadays in the modern tech world we live in Bug’s love of technology and tech based games is as strong as his love of puzzles. Combining 2 of his loves - technology and puzzles - Puzzle Games For Kids is an educational online puzzles and jigsaws that is perfect for Bug. Puzzle Games For Kids is a fab resource of free educational online jigsaws and puzzles perfect for young children especially toddlers and preschoolers. 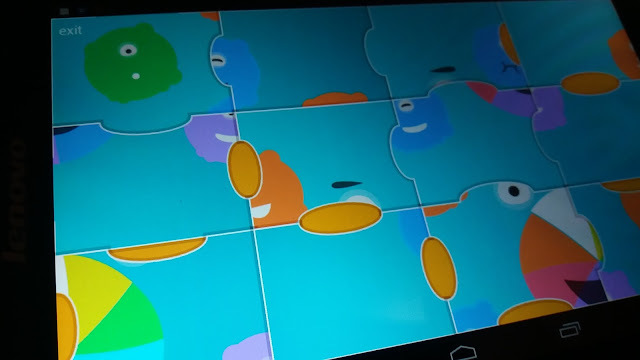 Thanks to technology such as tablets and smartphones and the Puzzle Games For Kids app and website puzzles are accessible at the touch of a screen. I love that Puzzle Games for Kids was created by a team of experienced experts and developers who made sure to produce puzzles and jigsaws for toddlers and preschoolers that would be fun, help them learn through play and test their logic. 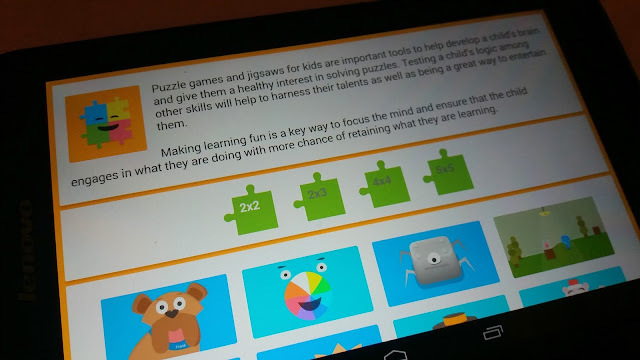 Not only do the puzzles provided on the app provide little ones with lots of fun but they also have educational benefits too as they test a wide range of skills including logic, memory, spatial awareness and motor skills. 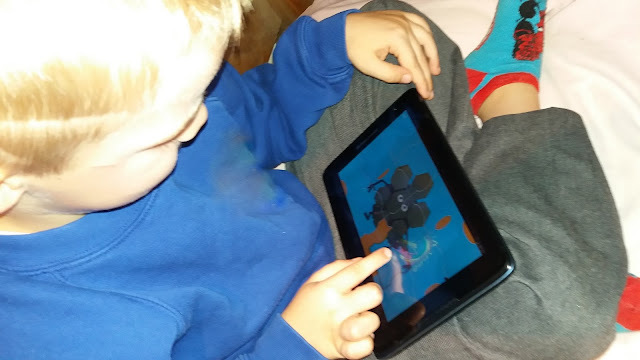 The app is easy to use and thanks to the simple design very easy for kids to get to grips with so they can quickly pick up and play for lots of puzzle fun. 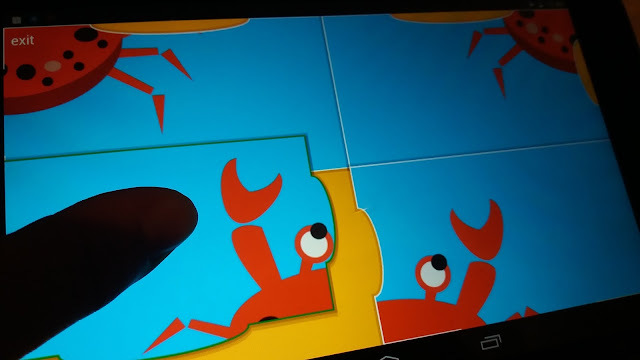 Bug has had fun using the Puzzles Games for Kids app and loves the bold and colorful puzzles. The puzzles feature animals and colourful characters which are eye-catching and appealing to little ones. I love that the app includes puzzles of varying difficulty and skill, with puzzles offered in various sizes and puzzle piece numbers. Thanks to the varying puzzle sizes the app is good for kids of various ages and competency from toddlers new to puzzles and trying them for the first time to older children who are well versed with puzzle play. As children gain confidence in puzzle play they can try the harder puzzles making the app something that can grow with them. The smallest puzzles - the 2x2 - is too simple for Bug but ideal for toddlers starting out with puzzle play and will soon be enjoyed by Bug’s younger brother Jelly Bean I am sure. Overall Bug seems to opt for the 4x4 puzzles and when he is the mood for a challenge and wants to test his puzzle skills he tries the 5x5 puzzles. 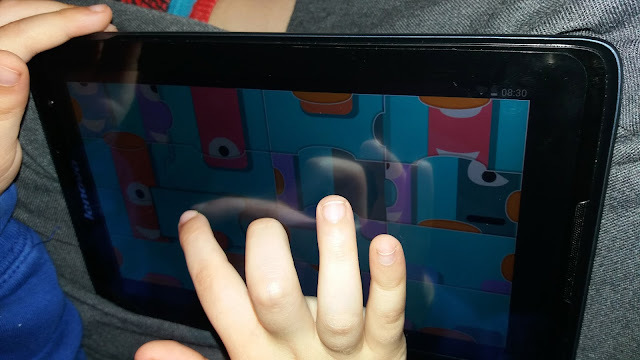 A handy thing about Bug playing with puzzles virtually on a device is that we don’t have to worry about any missing puzzle pieces and he can play them anywhere and everywhere! Thanks to the app the puzzles are easily accessible and can be played on the go, being especially useful for keeping kids occupied on road trips. Another benefit of using the app is that I feel confident and reassured that he is playing on an app that is not only fun and educational but safe too as it is an app that features child-friendly content. Best of all is that it is completely FREE! 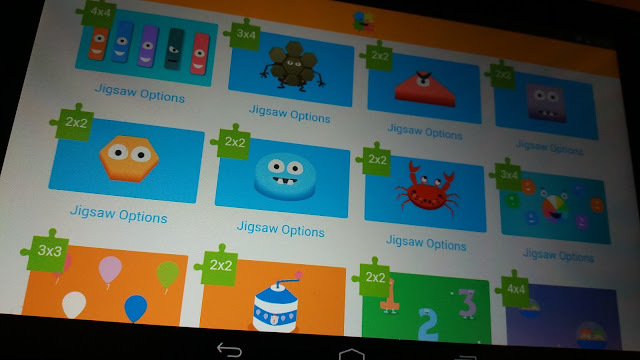 Introduce your kids to fun puzzle play with Puzzle Games For Kids today by downloading the Puzzle Games For Kids app from the google play store.